A recent Supreme Court ruling shows zero tolerance to fraudulent disclosure. A recent divorce ruling by the Supreme Court has allowed appeals from Mrs Alison Sharland and Mrs Varsha Gohil, who felt that their husbands had failed to disclose the true value of their assets during their divorce settlement. Mrs Sharland’s appeal considered the issue and impact of fraudulent non-disclosure upon her financial settlement. She argued that the Consent Order which had been drafted in line with an agreement reached between the parties should not be sealed by the Court, as the true value of the business of which her husband has a substantial shareholding, was much greater than the original value disclosed. Lady Hale ruled that the Consent Order will not be sealed and Mrs Sharland’s application for financial relief will return to the Family Division of the High Court for further directions. This ruling is far reaching as it highlights the importance of the parties’ duty to provide full and frank financial disclosure of all relevant information to one another and the Court. This duty is ongoing and information must be updated if either party’s circumstances change throughout the course of the Proceedings. At Awdry Bailey & Douglas we want to achieve the best possible outcome for clients once full, frank, open and honest disclosure has been provided. In the absence of proper financial disclosure it is difficult to provide meaningful advice as to what could constitute a fair and reasonable settlement as nobody can read a closed book. If you are considering divorce or are in the midst of Divorce Proceedings, it is in your best interests to seek legal advice so that you can make an informed decision about your future. Our experts are here to help you. Contact us to arrange a FREE initial consultation at any one of our four offices. Awdry Bailey & Douglas and Strakers are “On Course” of course!! 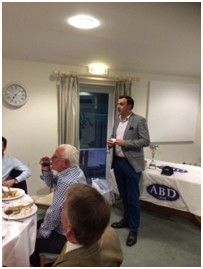 This year’s annual golf day event held between ABD and Strakers took place on Tuesday 29 September 2015 at the Chippenham Golf Club. It was ABD’s turn to host the event now in its 5th year of running. The weather was a glorious sunny day as team members enjoyed their bacon butties before setting off to play. After a little practice, the game began. 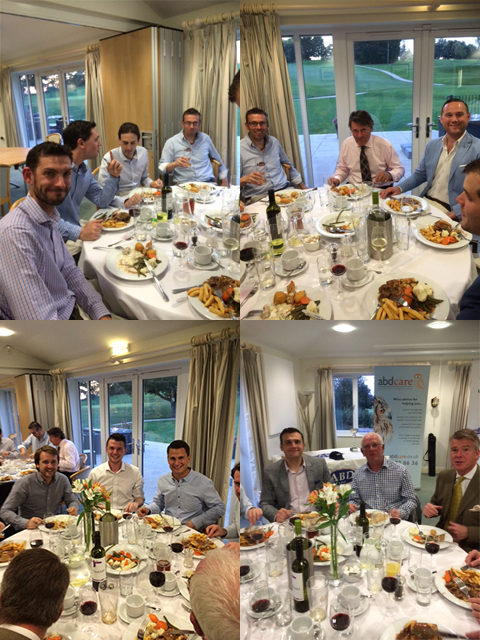 STRAKERS v ABD Golf Day Challenge! The score was drawn at two wins each which meant having to go to a count back whereby ABD won narrowly. It was a close one! A fantastic day of golf which everyone enjoyed. 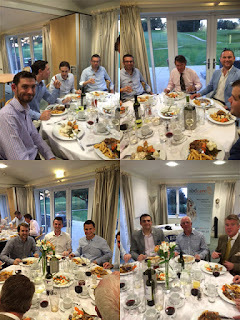 This was followed by a lovely dinner, speeches and prize giving from Alexander David and Tim Hotchkiss ending with carriages home. Strakers and ABD Teams, you know who you are! A misplaced shot from Andrew Douglas on the 6th tee nearly “sliced” Strakers in half! Oops! Close matches all round – intense! Tom Alford having to make the hazardous “walk of shame” in front of amused onlookers across the fairway of the previous hole to play his ball because he hit his shot sideways. Really? Lewis Bulley forgetting his golf shoes! Surely not? The weather was great and a fantastic day was had by all! True. A narrow win – it was a close one! Awdry, Bailey & Douglas team from left to right; Tom Paget, Andrew Douglas, Matt Brewer, Tim Hotchkiss, Alexander David, Alistair Everett, Tony Awdry and Roger Chadwick. Strakers Team from Left to right; Tom Alford, Charlie Doel, Lewis Bulley, Scott Windle, Antony Bulley, Guy Straker, Stuart Collar-Brown and Mark Hulse.